Enjoy a stress-free arrival with this private transfer service. Meet your reliable driver at either KLIA1 or KLIA2 terminals at Kuala Lumpur International Airport. Then relax on the journey to your hotel in Kuala Lumpur city or Petaling Jaya. Alternatively, take the trip in reverse when your trip comes to an end. Skip the hassle of booking a taxi or finding a shuttle service when you book and pay in advance. Airport pick-up and drop-off by private vehicle included Covered by Viator's worry-free policy: guaranteed on-time return to your destination. - Arrival & Departure time between 0005 Hrs to 0600 Hrs 50% surcharge will be apply. - Additional chargers need to pay direct to Driver upon arrival/departure. This private budget transfer service will take you to your next destination in comfort. 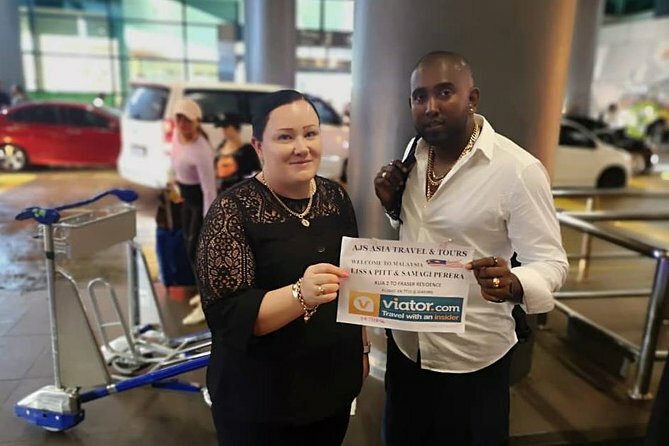 We serve both Kuala Lumpur International Airport KLIA1 and KLIA2 and a private transfer either to the airport or into the Kuala Lumpur city or Petaling Jaya area can be arranged. Our English speaking driver and meet and greet services make your booking easy and transfer relaxed. With space for up to 15 passengers we can also cater for larger groups or families. Take the stress out of airport transfers and book in early with our dedicated and responsible drivers to get you there on time. Meet and Greet at the Arrival Hall.